Matcha Genmaicha (ma-cha gen-mai-cha) is a unique blend of single origin Shincha leaves and roasted brown rice, dusted with a green tea powder, called Matcha. It’s made from stone milled green tea leaves and is packed full of antioxidants. The addition of matcha gives this full-flavoured tea its body, depth of flavour, and cloudy golden-green liquor. 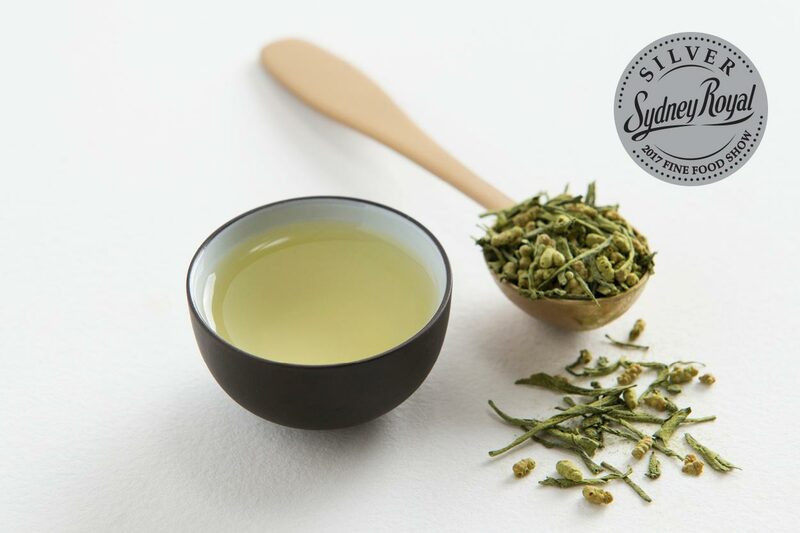 With the perfect balance of roasted, nutty and vegetal notes, it’s a great ‘any old time’ green tea that also tastes super good chilled. If you are a tea connoisseur or if you have one in your life, they will love this tea. This tea won a Bronze Medal at the 2018 Hobart Fine Food Show, a Silver Medal at the 2017 Sydney Royal Fine Food Show, and was awarded Best Matcha Blend at the a Golden Leaf tea industry awards. Read all about Matcha in our Matcha 101 blog post. Australian green tea with imported rice and matcha tea. Contains some caffeine. No artificial flavours added. This green tea is heavenly. It is such a lovely blend – delicate, not too strong yet full of flavour. Highly recommend this to everyone! Perect Souths’ matcha genmaicha blend is one of the best I’ve ever tasted, just love it! I love the matcha genmaicha…..it is a nice strong taste. Perfect for my after dinner tea. It is the best! Thank you!